Volume 12 in the series The Official Collector's Edition will be issued with the title His Finest Photos. 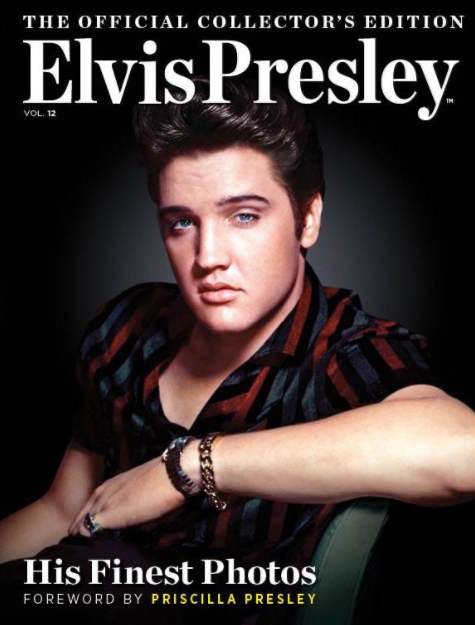 "The Official Elvis Collector's Edition is proud to present Elvis: His Finest Photos, a one-of-a-kind issue showcasing the best and most iconic views of the star, from the early days of rock & roll to the marquees of Las Vegas blazing his name. Featuring exclusive images, performance stills, family photos and stories from those who knew him best, it's a fitting tribute to the man who revolutionized entertainment as we know it today: the one, the only, Elvis Presley."